The skin is not a canvas on which cosmeticians can indiscriminately paint a delectable youthful scene; neither is it a sheet of denim from which grease and filth can be removed by scrubbing with alkaline solutions or strong detergents. It is an efficient but vulnerable membrane that grudgingly allows a controlled exchange of substances between the delicate tissues within and the threatening external environment. 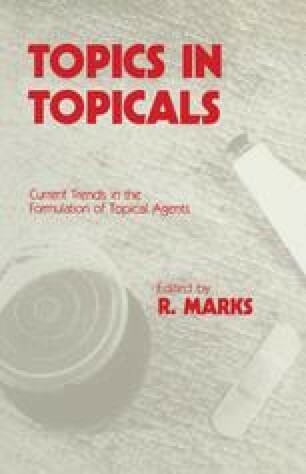 Its vulnerability is increased by persistent or repeated intimate contact with a foreign material, which is why any form of topical application can prove harmful.